Dr. Armando Soto, M.D., F.A.C.S. Board-certified plastic surgeon, Dr. Armando Soto was born and raised in El Paso, Texas. His father was a respected general surgeon in the West Texas community and his mother was a nurse prior to "retiring" to raise her five children. His parents were a great inspiration to him and always encouraged him to pursue a higher education. Dr. Soto was accepted to The Johns Hopkins School of Medicine and while studying there, he was inspired by the work of the surgeons in the Department of Plastic & Reconstructive Surgery and made the decision to pursue Plastic Surgery Training. After completing his education, Dr. Soto decided to bring his expertise to Central Florida in 2006, and since arriving in Orlando, he has made a name for himself as an extremely ethical, creative, skilled, and compassionate surgeon. In late 2007, Dr. Soto opened Aesthetic Enhancements Plastic Surgery, a state-of-the-art skincare, laser and surgical facility in the Doctor Phillips neighborhood of Orlando. Dr. Soto specializes in all aspects of facial rejuvenation, breast and body contouring procedures including upper and lower lid blepharoplasty, face/neck lift, laser resurfacing, liposuction, tummy tuck, inner thigh lift, arm lift, torsoplasty (body lift), breast augmentation, breast reduction, and breast lift procedures. He is considered by many in Central Florida to be the plastic surgeon of choice for the management of complex breast implant problems and revision plastic surgery. His Mommy Makeover procedures also draw patients from all around the globe. Fully embracing the less invasive approach many patients prefer, Dr. Soto and Aesthetic Enhancements offer an unsurpassed menu of options for safe, effective cosmetic enhancements including ThermiTight, Coolsculpting, Ultherapy, miraDry, Cellfina, and skin care procedures. After high school, Dr. Soto attended Texas A&M University, where he earned a degree in Microbiology and graduated with honors in 1991. He was accepted to The Johns Hopkins School of Medicine and, believing this to be the opportunity of a lifetime, left Texas for Baltimore. Based on his record and the recommendations of the plastic surgeons at Johns Hopkins, he was accepted for training in the prestigious program at Washington University & Barnes-Jewish Hospitals in St. Louis, where plastic surgery was born in the United States. Upon completion of his training in plastic surgery, he was accepted for an additional year of advanced training (a fellowship) in complex breast surgery, microsurgery, and breast reconstruction with Dr. Bernard Chang at The Center for Women’s Health and Medicine of Mercy Medical Center in Baltimore. Dr. Chang had been one of Dr. Soto’s mentors at Johns Hopkins so it was with excitement and pleasure that he returned to Baltimore for this advanced training available at only a few centers in the world. Dr. Soto’s training with Dr. Chang was shortened from one year to 9 months on the decision of the faculty that he was ready to proceed in his career and accepted their invitation to join the faculty of The Center for Women’s Health and Medicine. He spent the next 5 years on the faculty, training plastic surgeons and advancing the care of women in the mid-Atlantic area and surrounding states. During his time at The Center for Women’s Health and Medicine, Dr. Soto was named one of the top "40 Under 40" by the Baltimore Business Journal, a listing of the most promising Baltimore professionals under age 40. This was an extreme honor, considering the extreme sophistication of the Baltimore-D.C. medical community. 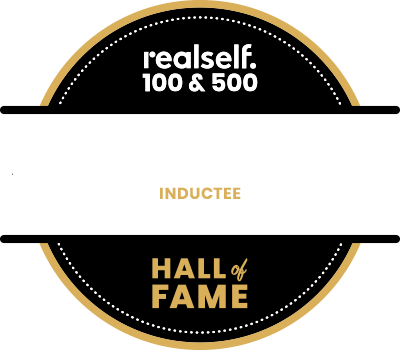 In 2012, Dr. Soto was named one of only 100 doctors across the nation to receive the RealSelf 100 award, out of many thousands of board-certified plastic surgeons, dermatologists, and licensed cosmetic dentists. The award from RealSelf, the world’s largest consumer source for cosmetic surgery information was granted to Dr. Soto for his commitment to ensuring millions of consumers make informed decisions about cosmetic procedures. Dr. Soto has also been named Orlando’s Best Plastic Surgeon by The Orlando Business Journal (one of the only such lists not based on financial contributions to the publication or professional politics), and has been among the 2-3% of physicians nationwide to receive consecutive awards from respected national sites Patient’s Choice and Vitals.com. He is particularly proud of these awards bestowed by patients. In 2017, Dr. Soto was awarded the Vitals Compassionate Doctor 5 Year Award, which honors doctors who treat their patients with the utmost kindness - as reflected in their superior "Overall" and "Bedside Manner" ratings. Dr. Soto believes the true nature of excellence is an unlimited desire and capacity for self-improvement. He is always advancing and continuing his education to provide the best service for his patients and to set a great example for his family. Dr. Soto lives with his beautiful wife and children in Windermere, FL. He is a doting father and husband who loves spending time with his family. When he is not at the office, he and his family travel and relax at their favorite local beach. He is also an accomplished amateur photographer and loves playing the electric guitar.